Tommie Ann is an advocate for social change and believes in the empowerment of others through educational opportunity. She was a member of the inaugural extended campus cohort and completed both her BA in Human Services and Counseling and M.Ed. in Mental Health Counseling and Human Development in the distance learning format. She is a Licensed Professional Clinical Counselor and is currently pursuing her Ph.D. in Industrial and Organizational Psychology. 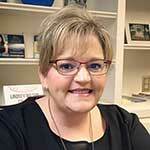 Tommie Ann began her career with Lindsey Wilson in 2004 as an Enrollment Coordinator. In 2006, she added the role of adjunct instructor for LWC’s School of Professional Counseling. Still teaching, she transitioned to Regional Enrollment Director in 2007 to develop and supervise the Southern Appalachian Region, which consists of 5 extended campuses in KY and VA. She accepted the role of Assistant Vice President of Educational Outreach for Online and Graduate Programs in 2018 and is excited about the future of LWC Online. In each role, she has maintained a student-focused commitment to delivering Lindsey Wilson’s mission and dedication to excellence. As co-founder and president of the Harlan County Boys and Girls Club, as well as Chair of the Kentucky Area Council of BGC of the Commonwealth, Tommie Ann volunteers her time to ensure that Kentucky’s children have a safe place to become. Although she is honored to serve LWC and BGCA, her favorite roles include being a mom to her children Ty and Andi and “Mimi” to Elly. Sandy Moore moved to Kentucky from Ohio over 20 years ago. She loves the small town atmosphere of living in rural Columbia, KY. She studied Art and Human Services and Counseling at Lindsey Wilson College and earned her BA in 2012, while working in the Registrar’s Office at the college. She moved to Online Education in 2015 where she hoped to get in on the growth opportunity that online education could give to the college while continuing to serve students. In her spare time she loves anything art or craft related. Sewing children’s clothes or painting something special for a friend or family member is something that makes her happy. She is passionate about helping to promote success in others whether it is for online education or teaching someone to sew, paint or draw. Taylor Cole is a Michigan native. She completed her Bachelor’s degree in Business Administration from Alma College. She went on to earn her Master’s Degree in Recreation Sports Management from Indiana State University while coaching colligates volleyball at Rose-Hulman Institute of Technology. Taylor has spent her last 3 years recruiting for various colleges while coaching college volleyball. Taylors passion is to challenge, support and guide young students as they pursue their educational dreams. In Taylor’s spare time she enjoys watching football, hiking, going to the cottage, traveling and spending time with her family. Glenda Pickett joined the Lindsey Wilson College family in November of 2014 from Berry College in Lindale, Georgia. 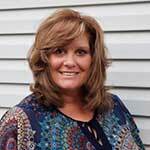 She began her journey with LWC as Administrative Assistant. Her support in the Western Region went above and beyond to meet the needs of the region. Glenda has transitioned to Admissions Representative. She has a genuine passion for LWC and what we offer our students. Glenda makes "Every Student Every Day" a priority in the Western Region. Keeley Stewart has been an employee of Lindsey Wilson College since 2015. 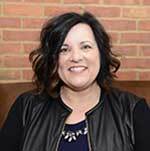 She started as an Enrollment Coordinator at the Hopkinsville, KY campus and later transitioned to the Lexington, KY campus. 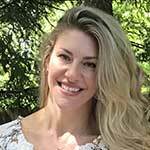 Keeley now holds the position of Online Admissions Counselor, Counseling and Human Development Master’s Program Specialist with our School of Professional Counseling. Keeley has a passion for serving the students of LWC and the School of Professional Counseling. Keeley takes great pride in her work and our mission statement, “Every Student, Everyday”. Ashley is a native of Shelbyville, Kentucky. She completed her undergraduate degree from the University of Kentucky and her Masters in Organizational Leadership from the College of Business and Economics at Campbellsville University. Ashley began her career with Lindsey Wilson in 2011 as the Director of Career Services and a First Year Experience Instructor. Through her role in Career Services, she developed online curriculums for satellite campus workshops and worked with residential, commuter and remote students on career development. 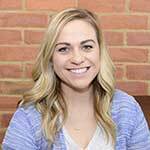 Ashley joined the Lindsey Online team in 2016 as the Success Coach and has enjoyed assisting online students to have a successful and engaging College experience. Ashley loves the small campus atmosphere of Lindsey Wilson and the personalization LWC is able to provide, even in an online format. As the Success Coach for Lindsey Online, she's been excited to see Students Bridge the gap between their work experience, past educational experiences and career goals through their online program. She, her husband Powell, their son Aiden and dog Sammie reside in Shelbyville. Leigh is a native of Opp, Alabama and moved to Columbia, KY five years ago. She is a Communication/Christian Ministries Major at Lindsey Wilson. She is passionate about college students, both traditional and non-traditional. Leigh is adamant about challenging others to find and become not only who they are, but who they are meant to be. “Every Student, Every Day” is more than just a motto; for Leigh, it is a way of life. Leigh is an advocate for helping the less fortunate in our community. She is very involved in the daily life of students at Lindsey Wilson. She is a member of Antioch United Methodist Church and spends most of her free time with her family. Leigh is a very big supporter of Lindsey Wilson Athletics, but is partial to the Lindsey Wilson Softball Team, her husband, David Dews, is the Head Softball Coach at LWC. Leigh and David have three children, Konnor, Charleigh, Pearson and a fur baby, Saban. 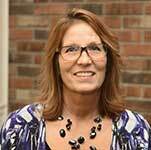 Cindy Whaley joined the LWC Online Team in November 2018 as an Enrollment Coordinator for Educational Outreach and Online Programs. She is passionate about transforming lives through higher education. Cindy is committed to connecting people to the educational program that will best meet their personal and career goals. 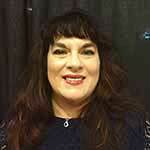 She brings more than twenty years of experience as a professional educator to assist every person she serves. In addition to her career as a classroom teacher, Cindy has provided guidance to students who are just beginning their college experience. She also has an extensive background advocating for education access as well as mobilizing resources to provide students with opportunities to attend college. Cindy holds a B.A. from Middle Tennessee State University and a M.S. from the University of Tennessee. She is most proud of her family…her husband, Chris and their two children, Jonathan and Tori. They reside in Harriman, Tennessee where both Chris and Cindy proudly serve the community through their roles as educators. 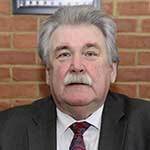 Roy Wayne joined the Lindsey Wilson College family in the fall of 2018. He started college in his thirties as an adult learner. He has earned an associate’s degree from Pellissippi State Community College, a bachelor’s degree in Multidisciplinary Studies from a cohort program with Tennessee Tech, and a master’s degree in Exercise Science and Sports Management from Tennessee Tech. 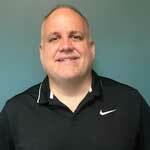 He believes in reaching for your dreams and knows first-hand that a college degree will help you attain them.